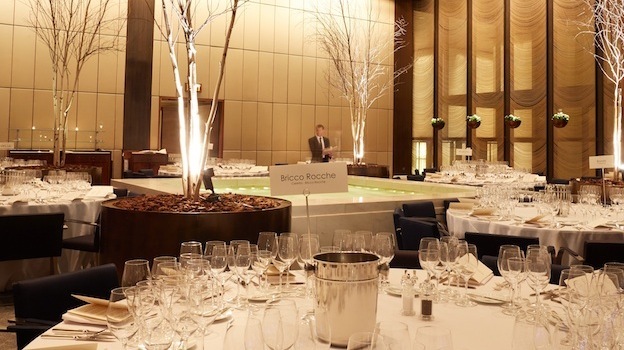 Set in the historic Four Seasons Restaurant, this year’s Festa del Barolo was full of memories that will last a lifetime. The 2010 Barolo: A Modern-Day Classic Masterclass Tasting focused on education, while the Gala Dinner & Charity Auction gave guests the opportunity to sample a wide range of older wines and raised over $200,000 for The Zone, a state-of-the art facility within The Mount Sinai Hospital that helps seriously ill children and their families cope with hospitalization. 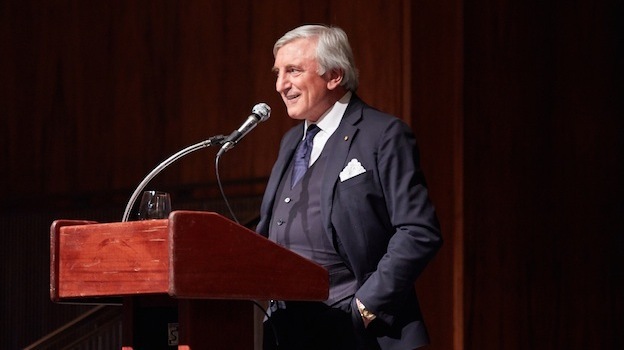 The list of people who helped make this year’s Festa del Barolo a huge success is long. I am deeply indebted to Four Seasons Managing Partners Julian Niccolini and Alex von Bidder for allowing us to descend on their landmark restaurant for two days. 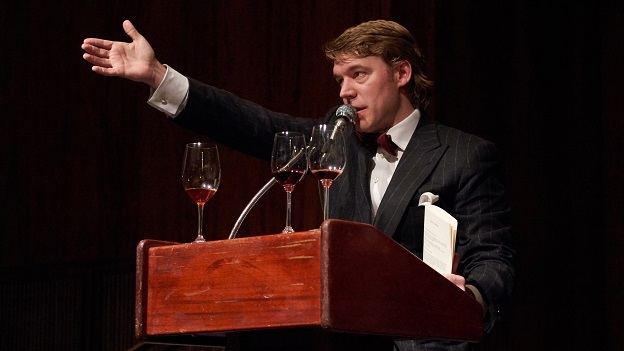 Forty of this country’s best sommeliers took care of wine service under the direction of Del Posto Wine Director Jeff Porter. 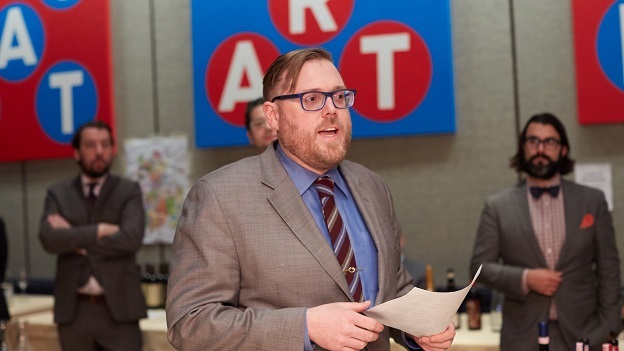 Michael Jessen of Wally’s ran our auction, Riedel provided more than 3,000 glasses, while Domaine Wine Storage made sure all of the wines were stored properly and arrived on time, none an easy feat. The fifteen producers who attended were all very generous with their time and wines. Most importantly though, I would like to thank Vinous readers from all over the world who made a special trip to be part of Festa del Barolo 2015. Each year my tasting group gets together for a little ‘snack’ before the Gala Dinner. I usually miss most of the afternoon’s proceedings, as I am busy running around tending to the last-minute issues that inevitably arise. Festa del Barolo is like my wedding. I know I was there. I remember arriving and leaving. The middle, well, not so much. Not this year. I was determined to slow down a bit and enjoy at least some of the afternoon. I am glad I did, as this year’s pre-party was the best yet. It’s hard to know where to begin, between the wines that are being opened for the cocktail hour and those that are being prepped for later. I have long believed that things have to get off to a strong start. As it turns out, the first wine I taste is the 1978 Conterno Barolo Monfortino. We are off to the races. The menu consists of Pizza Margherita, tuna and rib eye sliders, pappardelle with wild boar and Périgord black truffle, and burrata, a delicious last minute addition. 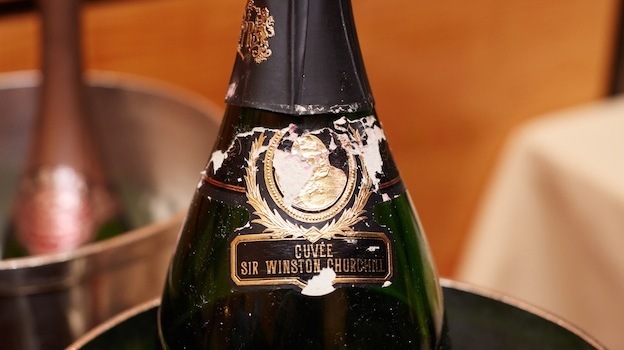 Pol Roger’s 1975 Cuvée Sir Winston Churchill, here in its debut release and from magnum, is utterly spellbinding. Pastry, pear, peach, apricot, brioche and a gentle hint of spice open up in a captivating, resonant Champagne of the highest level. The combination of toastiness and freshness recalls Dom Pérignon’s 1975 Oenothèque, which is still one of the greatest Champagnes I have ever tasted. A pair of Montrachets from Domaine de la Romanée-Conti inspires quite a bit of debate. Which is the greater wine? Personally, I don’t think of wine as a competition, but it is without question fascinating to compare the two. The 2001 Montrachet comes out of the gate screaming with personality. White truffles, flowers and tropical-inflected notes abound in a distinctly exotic, rich Montrachet endowed with tons of nuance. A totally different animal, the 2004 Montrachet is slow to reveal itself. Then again, it’s the 2004. After about an hour the 2004 suddenly opens up, revealing the full breadth of its pedigree. Smoke, slate, apricot jam and crushed rocks flesh out in an exquisitely layered, mineral-driven Montrachet that will continue to drink well for another 20+ years. This is an especially stubborn bottle of the 2004, but still, readers should be prepared to be patient. Three reds from DRC follow. All are thrilling to taste, but for different reasons. As good as the wines in this flight are, they are all at peak, if not slightly past. 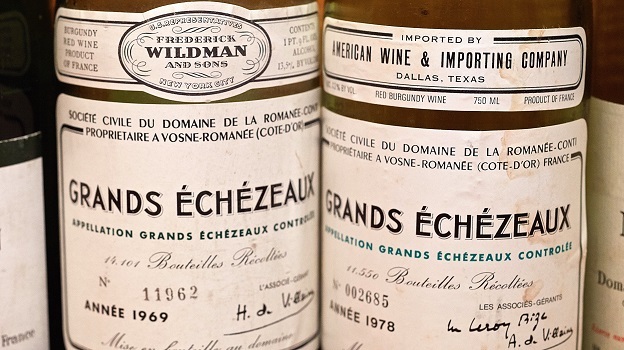 The 1969 Grands-Echézeaux presents a sweet, almost candied profile. Blood orange, pomegranate and crushed flowers are laced into the expressive finish. 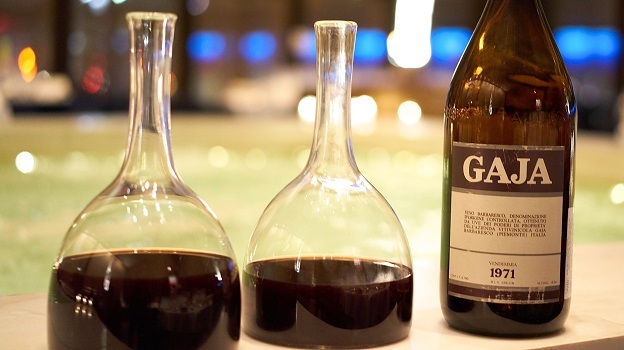 There is lovely immediacy to the 1969, a wine that is quite pretty, but also fully mature. A striking contrast to the 1969, the 1978 Grands-Echézeaux is quite savory, with less in the way of fruit, but plenty of aromatic nuance. Sage, rosemary and hints of tobacco add complexity. Here, too, I sense limited upside potential, although there is no question the 1978 is showing well. Pure power and structure are the signatures of the 1971 Richebourg. Today, the 1971 is a touch austere, yet it compensates for that with superb focus and drive. One taste of Emmanuel Rouget’s 1990 Vosne-Romanée Cros Parantoux is all it takes to completely stop the conversation at the table. How can a wine be so beautiful? Ethereal and weightless on the palate, yet with considerable depth, the 1990 captures the essence of what makes Pinot Noir and Burgundy so compelling. Sweet floral notes wrap around an eternal, silky finish that is pure finesse. It’s hard to see the 1990 improving much from here although it will certainly hold for some time. Still, my preference would be to drink it sooner rather than later. The fireworks continue with the 1993 Musigny from Comtes de Vogüé. Still quite young, the 1993 possesses striking, lifted aromatics to match its intense bright red fruit. I have long been a fan of the 1993 red Burgudies. This is a terrific example of the vintage at its best. A decidedly bold, extroverted Musigny, de Vogue’s 1993 will drink well for another two decades. Tonight, it is absolutely stellar. The Gala Dinner & Charity Auction is extraordinary. Bérèche’s NV (2009) Campania Remensis Rosé and the 2004 Dom Pérignon (magnum) capture the contrasts that makes Champagne such an exciting wine. The Bérèche is rich and vinous in the glass, while the Dom Pérignon speaks to finesse. Both wines kick the night off in grand style. Each grower hosts a table and pours two wines, while guests bring bottles from their own cellars to share with their friends and fellow guests. What a thrill it is to see the generosity Piedmont’s best wines inspire as bottles make their way around the room. Four Seasons Executive Chef Pecko Zantilaveevan and his team do a fabulous job with the food. Everything is simply perfect. But I am not surprised, as the kitchen prepared several versions of each dish for us when we were deciding on the menu. 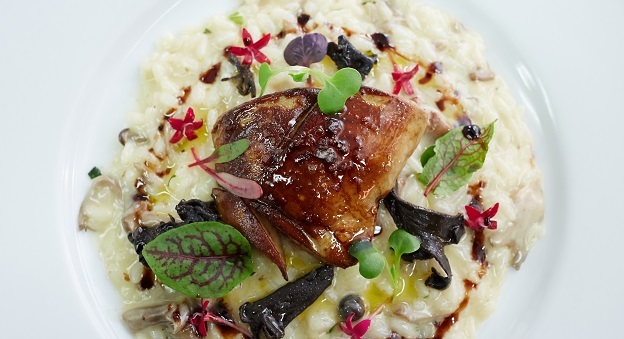 The octopus appetizer is to die for, while the risotto with foie gras takes things to an ever higher level. A heavenly beef short rib is the main event. These are some of the highlights among the wines I was fortunate to taste. Both of the Scavino Barolos I taste happen to be debuts. The 1978 Barolo Bric del Fiasc is powerful and sinewy to the core, as it often is. This is not the very best bottle I have ever had, but it is still terrific. Most importantly of all, the 1978 still has plenty of life ahead of it. A total revelation, the 1985 Barolo Cannubi is off the charts. Enrico Scavino is always a bit reluctant to share the location of the parcel he rents in Cannubi, and with good reason, as it is one of the finest. Scavino’s 1985 Cannubi remains translucent, nuanced and breathtakingly beautiful as it showcases all of the pedigree and finesse Barolo lovers look for in this site in a style that bridges both modern and more traditional styles. Simply put, the 1985 Cannubi is a real head-turner. Bartolo Mascarello’s 1986 Barolo, from a vintage plagued by hail, is a powerhouse, with layers of dense fruit and enough structure to drink well for another 20+ years. This magnum, from my cellar, is terrific, but not the best example of the 1986 I have had. 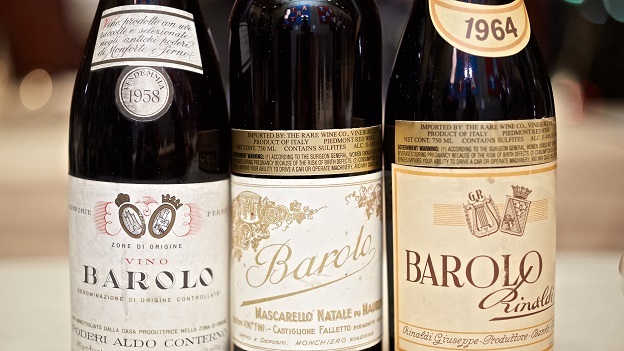 The 1958 Barolo is laced with orange peel, mint and rose petal, all signatures of a fully mature bottle. I say bottle because the 1958 is typically a much fresher wine, but even this slightly less than perfect example is terrific. Similarly, Aldo Conterno’s 1958 Barolo is nicely resolved, with attractive suggestions of crushed flowers, white pepper and blood orange all laced together nicely. What a treat it is to taste the 1956 Barolo Canubbi from Cantina Mascarello in magnum, a first for me. Gentle, lifted and now in the autumn of its life, the 1956 is a gorgeous example of mature Barolo from this era. Interestingly, the label reads ‘Canubbi’ (note the spelling) although Mascarello made his Barolo from a blend of sites, as is still the case today. At the time, the Canubbi was so well-known, its name was used rather liberally. The 1926 Conterno Barolo Monfortino is a treat to taste, but it is more of historical curiosity than anything else, as the wine is now well past the stage where most consumers, including me, are likely to find pleasure. Conterno’s 1943 Barolo Monfortino is quite good, but this is not the best bottle I have run across. In my experience, once past the 1970s, older Monfortinos are highly variable, mostly because of corks that have degraded and/or poor storage. The 1978 Barolo Riserva Monfortino is a poignant reminder of how moving the epic Monfrotinos are. This is an especially brilliant bottle. Huge swaths of tannin wrap around a core of dark, balsamic-inflected fruit in a young, virile Barolo that will drink well for another two to three decades. The 1978 remains a seminal Monfortino. Wow! From the moment it is poured, I know the 1982 Barolo Riserva Collina Rionda is going to be epic. The color is breathtakingly red. Impossibly sweet, perfumed aromatics seem to magically lift out of the glass in a silky, finessed Collina Rionda that captivates all the sense with pure pleasure. I have had the 1982 many times, but it has never been this emotionally profound. This is my last bottle, and I can’t think of a better group to share it with. In one word: stunning. When all is said and done, the 1971 Barolo Riserva Rocche di Castiglione remains one of Bruno Giacosa’s all-time greats. Silky, polished and almost impossibly refined, the 1971 is moving. It’s as simple as that. Readers lucky enough to own the 1971 are in for a real treat. Sadly, my bottles are all gone. 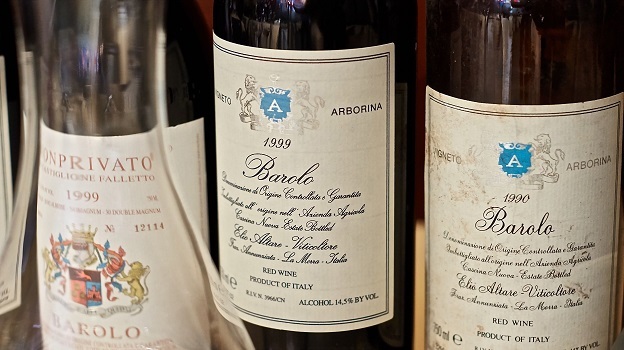 The 1978 Barolo Arione is a rare bird in the Giacosa canon. This is one of the better examples I have tasted, with lovely aromatic precision and nuance, but less of the pure power than is typical of Serralunga. My sense is that new owner Roberto Conterno will take Arione to far greater heights. The room is full of incredibly rare wines that pass by at a dizzying pace. Angelo Gaja’s 1971 Barbaresco, from a 3.78 liter double magnum, takes a few hours to open up, but when it does it is fabulous. Still deep and quite intense, the 1971 is a testament to how well Nebbiolo can age. The 1978 Barolo Rocche from Vietti is powerful and structured, both signatures of this historic Piedmont vintage. One of the highlights of the night, Sobrero’s 1971 Barolo is simply stunning. It is one of so many wines I would like to spend more time with, as it has aged impeccably. Filippo Sobrero made his 1971 Barolo from holdings in Monprivato, a site famous for yielding wines that develop exquisitely in bottle. Another rarity, the 1971 Barolo from Natale Mascarello, Mauro Mascarello’s uncle, is perhaps not great, but nevertheless fascinating to contemplate as it is a wine that is beguiling because of its human, fragile personality. A bevy of wines from Giuseppe Rinaldi are woven in throughout the evening. The 1978 Barolo Riserva Brunate (magnum) is another wine I feel deeply fortunate to be able to taste and drink. Although not a perfect example, the 1978 is still quite beautiful and a poignant reminder of just how great this Barolo can be. Rinaldi’s 1989 Barolo Riserva Brunate, from my cellar, is magnificent. Sweet rose petal, savory herbs and melted road tar are some of the super-classic scents that open up in the glass. Still resonant and exquisitely layered, the 1989 will drink beautifully for many years to come. After a run of bad luck with the 1989, my most recent bottles have been deeply satisfying, as this one is. Another rare bird, Rinaldi’s 1964 Barolo shows remarkable textural finesse and balance for a wine of its age. The 1964 is floral, lifted and exceptionally beautiful. The 1997 Barolo Brunate/Le Coste, from magnum, is magnificent. A thrill a minute, the 1997 is firing on all cylinders. What a pleasure it is to share this superb old-school Barolo. The night ends with Rinaldi’s 2010s, which I had promised a few Vinous readers who had not been able to source the wines. The 2010 Barolo Tre Tine is another classic, with beams of acidity and tannin that give the wine its pulsating energy. A darker and more overt wine, the 2010 Barolo Brunate hits all the right notes with an exciting mélange of dark red/purplish fruit, menthol, spices, new leather and balsamic notes. This is just about as good as it gets for young Barolo. Well, my job is pretty easy here. I am charged with starting on time and ending on time, with a little translation duty thrown in, just to make sure I earn my lunch. 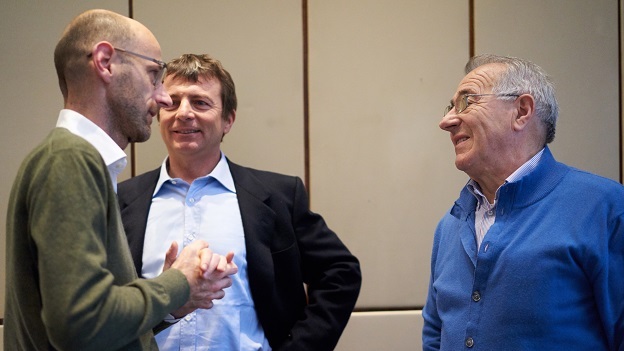 The 2010 Barolo tasting is one of the most remarkable tastings I have ever been part of. In the past, there has always been a wine or two that don’t quite show as well as I had hoped, and also one or two huge positive surprises. This tasting is different, as all the wines are consistently brilliant. Which of these superb 2010 Barolos should go first? 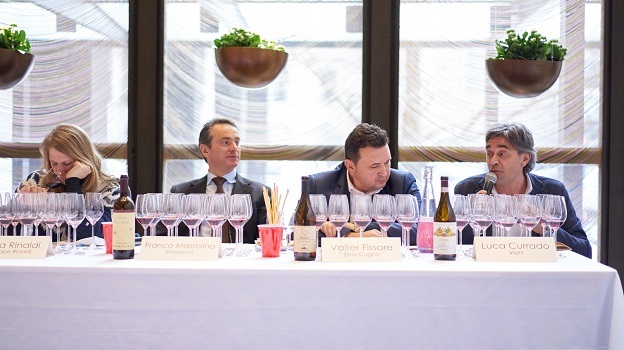 As it turns out, many years ago Bruno Ceretto launched his Barolo Bricco Rocche in the United States at The Four Seasons, so the decision is obvious, almost predestined, and Alessandro Ceretto kicks off the masterclass tasting. Most of the wines show just as well as they always have, both from barrel and bottle, but a few are particularly expressive, including Vajra’s Barolo Bricco delle Viole, Aldo Conterno’s Barolo Cicala and Burlotto’s Barolo Monvigliero. The Altare Arborina, La Spinetta Campè and Scavino Rocche dell’Annunziata all boast incredible purity of fruit. All three are shockingly primary today. Because of its cult status, the Rinaldi Brunate is now very hard to find, so few consumers have tasted it, but it is superb today, as is the Massolino Riserva Vigna Rionda, which has not yet been released. Plenty of attention is focused on the Sandrone Le Vigne and Vietti Ravera because of their very positive reviews. Of the wines in this tasting, the Le Vigne was the first to go into bottle, and it comes across as a bit shocked. The persistence, textural finesse and overall balance are there, but some of the pure explosiveness the 2010 once showed have receded. Time and again, I have seen Le Vigne reemerge after a few years in bottle, and I expect that to be the case once again here. Vietti’s Barolo Ravera is a beast that will require considerable cellaring. Tasting it next to Cogno’s Barolo Bricco Pernice, which emerges from the adjacent parcel, is both illuminating and highly educational. Lunch following the afternoon tasting is a new event at Festa del Barolo this year. 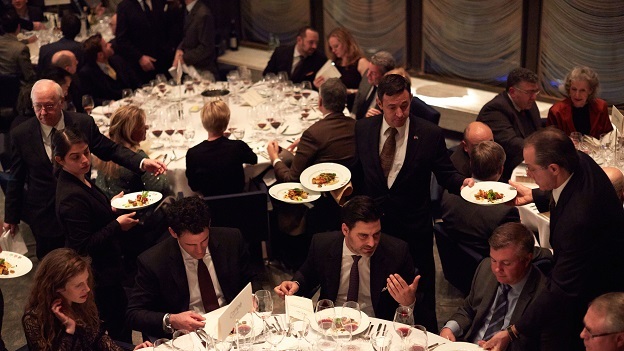 What do you serve for lunch at an iconic American restaurant after a tasting of 2010 Barolos? 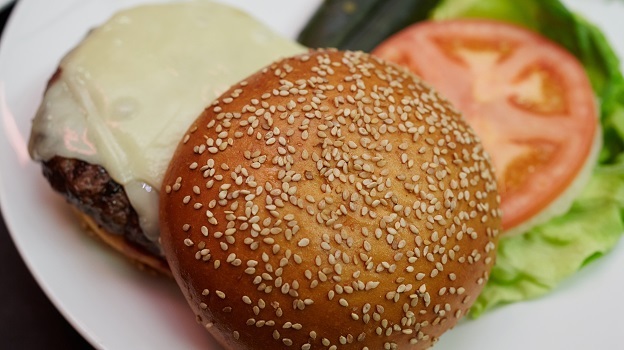 It could only be one thing: burgers. 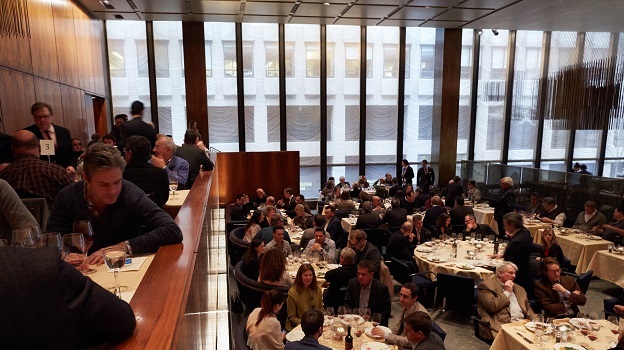 Once again, The Four Seasons’ kitchen does a brilliant job putting out beautiful food and feeding a hundred or so hungry Barolo lovers in the iconic Grill Room, where New York’s power set can be found eating lunch during weekdays. Originally I thought guests might want to grab a quick bite and then move on into the rest of the afternoon. Instead, I am delighted to see everyone settle in for a leisurely lunch during which the hectic pace of New York City seems to slow down just a bit. The 2010 Barolos from the morning tasting are even better with a few more hours of air and alongside food. Of course, the 2010s are far too young to deliver maximum pleasure, but the the wines are absolutely gorgeous at the table, even at this embryonic stage. 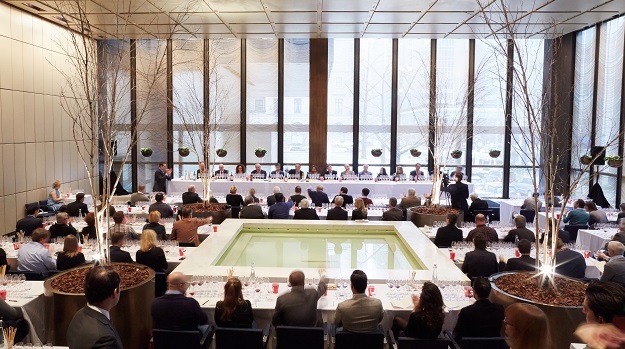 With that, it is time to venture back into the harsh New York City winter, but not before one thing is clear: La Festa del Barolo will return to New York City in February 2016.